Welcome to Cupcake Tuesday! I’m so glad to have you! I have updated the Cupcake Heaven page, there are over 150 designs and recipes! Check it out!! Happy New Year!! Is it really almost 2012? Are you as surprised and blown away by that as I am? I had every intention of sharing the New Year’s Eve Cupcake Shooters with you today, but…well time got away from me and honestly, since I’m supposed to be on a little break this week, I decided to take my son shopping instead of creating cupcakes. 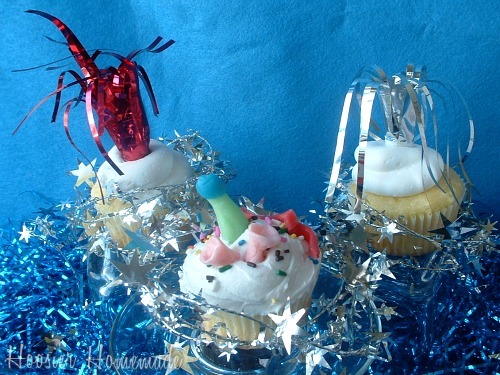 Never fear though, I will share them later this week AND I have some fun New Year’s Eve Cupcakes for you today too! 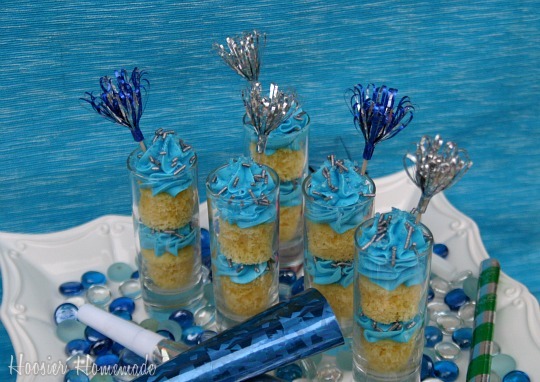 These fun New Year’s Eve Cocktail Cupcakes are super easy to create and a blast to eat! 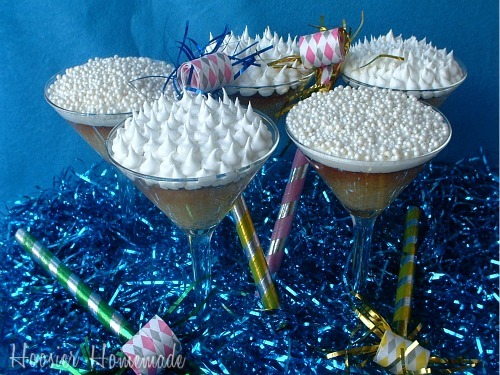 Just bake the cupcake right in the cocktail glass and decorate with white or even silver. For full instructions and a video on how to bake cupcakes in a glass, head on over and check out the Cocktail Cupcakes. 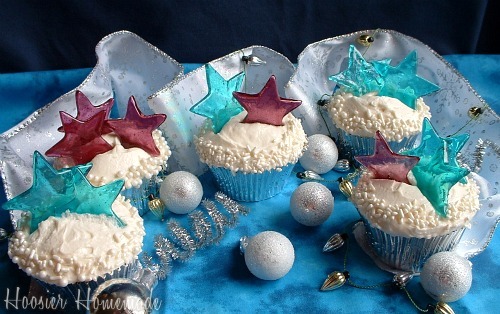 I added stars made with Jolly Rancher candy to these New Year’s Eve Cupcakes. The stars are easy and look really pretty too. No time to decorate? Add a horn to the cupcake for a festive touch. Just bake up your favorite cupcake, frost and add a horn, then your guests will have dessert and be ready to ring in the New Year! 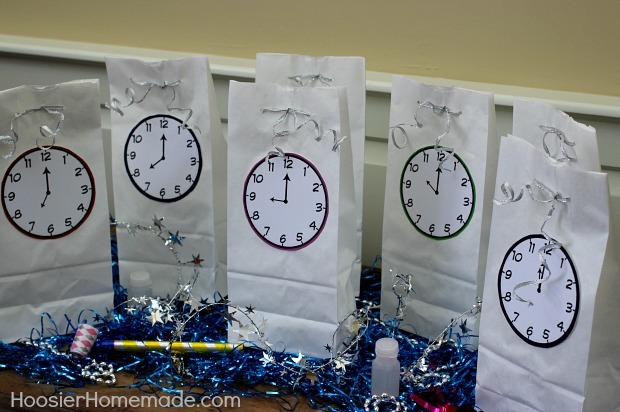 Make some fun Countdown Bags for your New Year’s Eve Celebration! Thanks for hosting! I hope you and your family had a wonderful holiday!